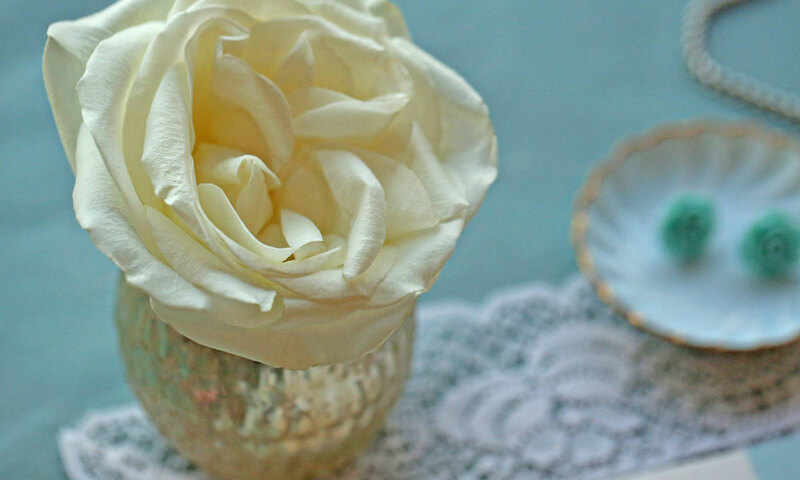 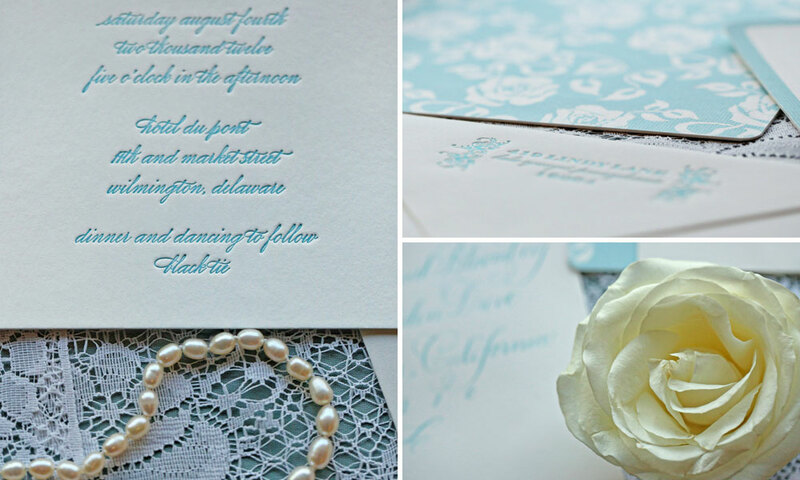 Old-world glamour comes magnificently to life in this design inspired by the bride’s love for beautiful blues and floral lace. 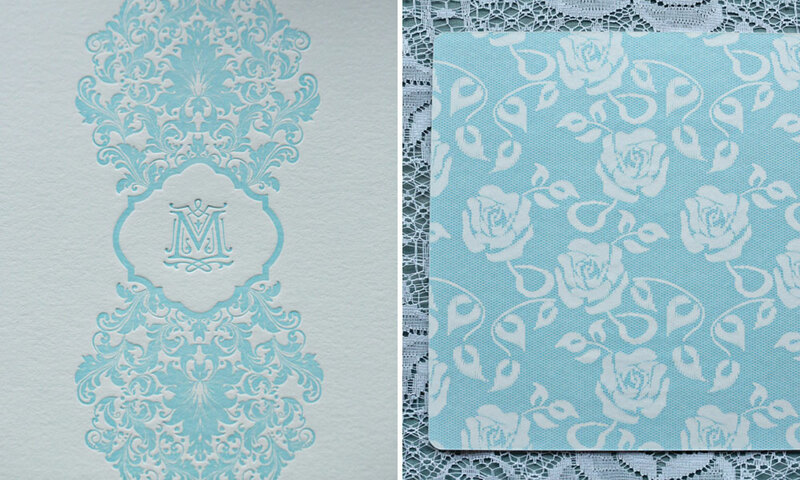 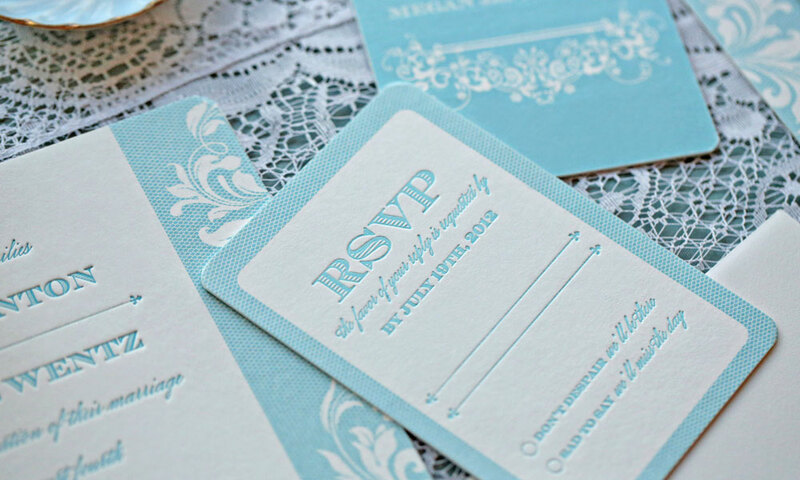 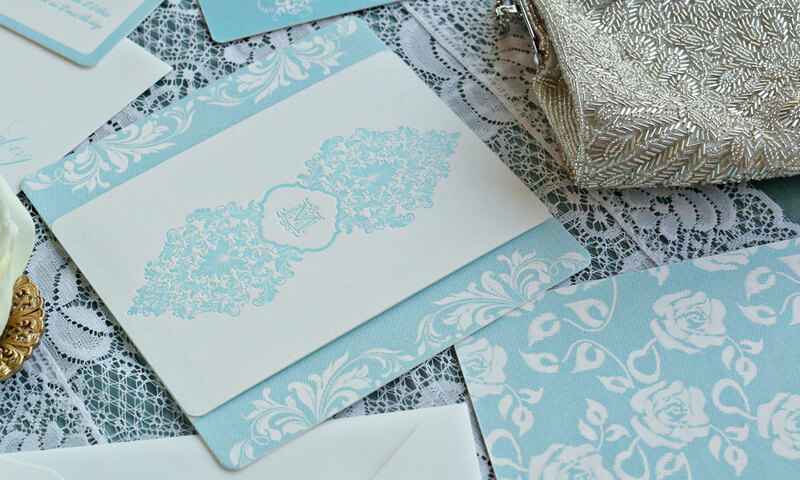 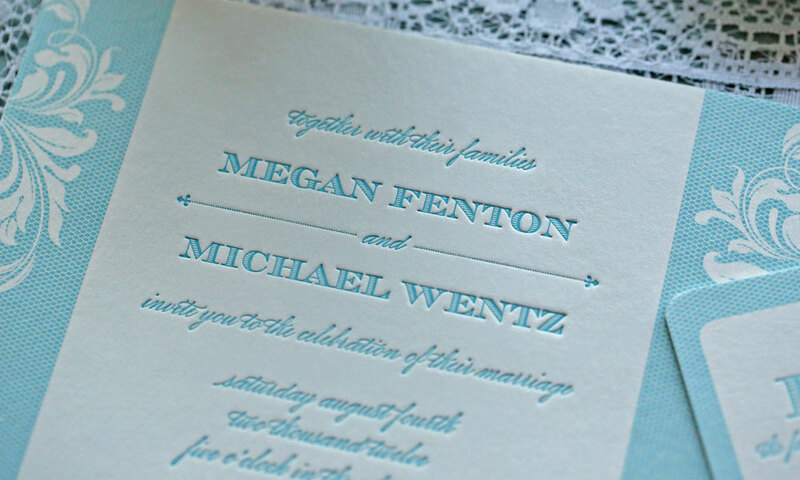 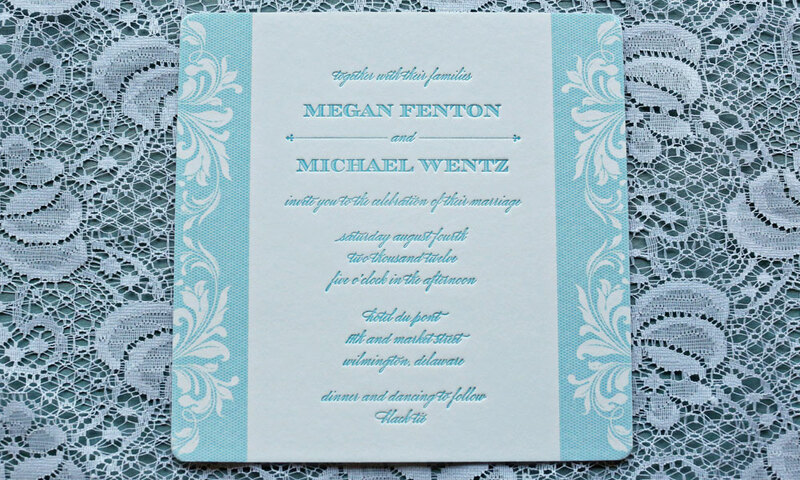 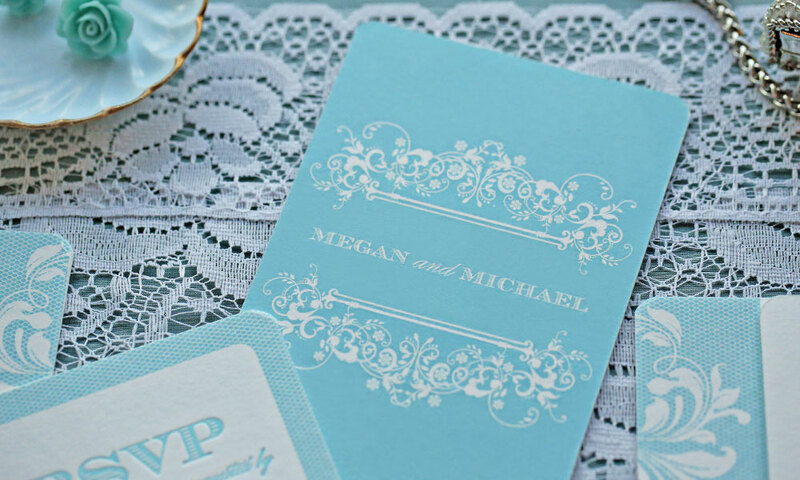 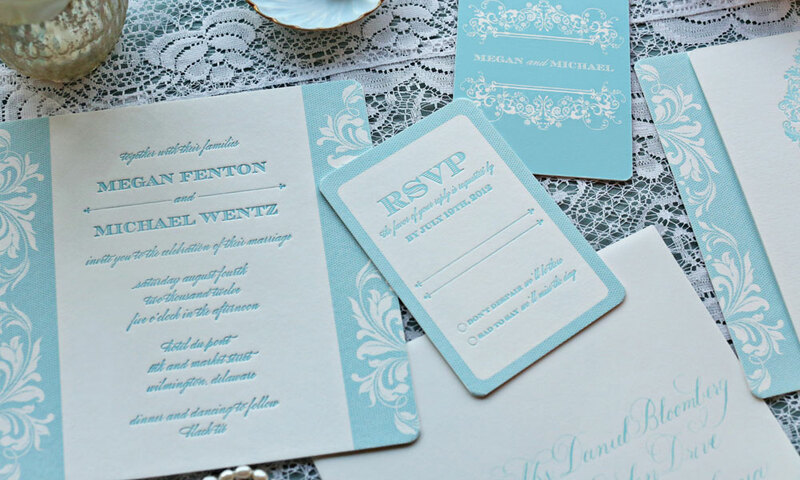 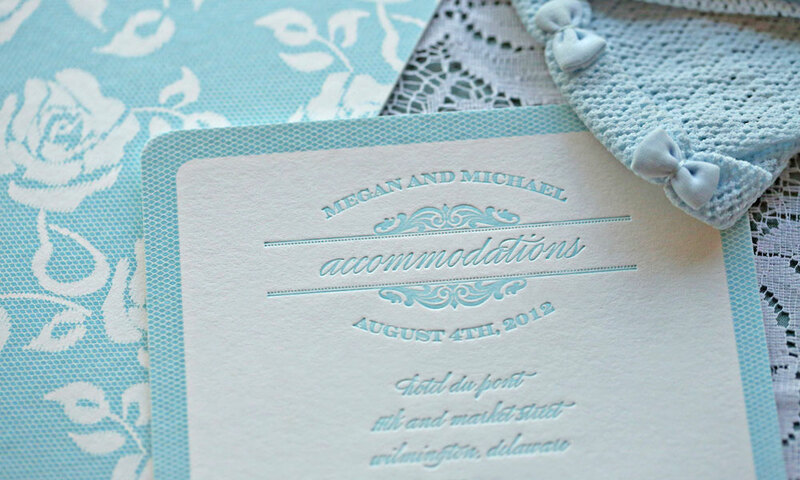 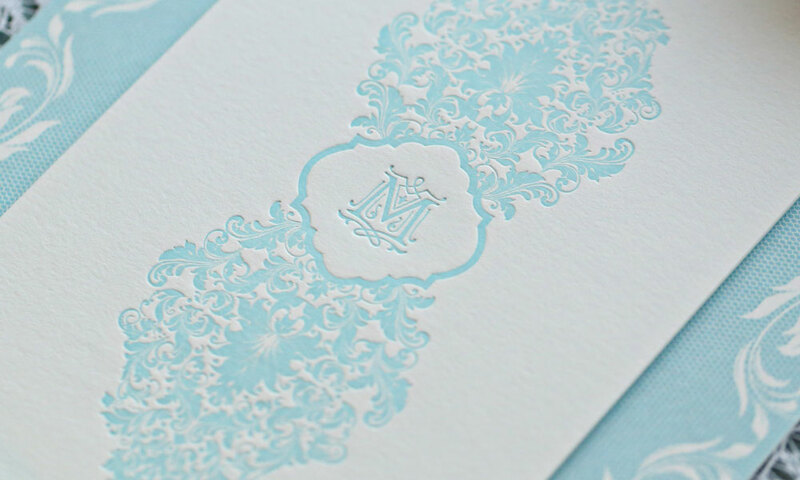 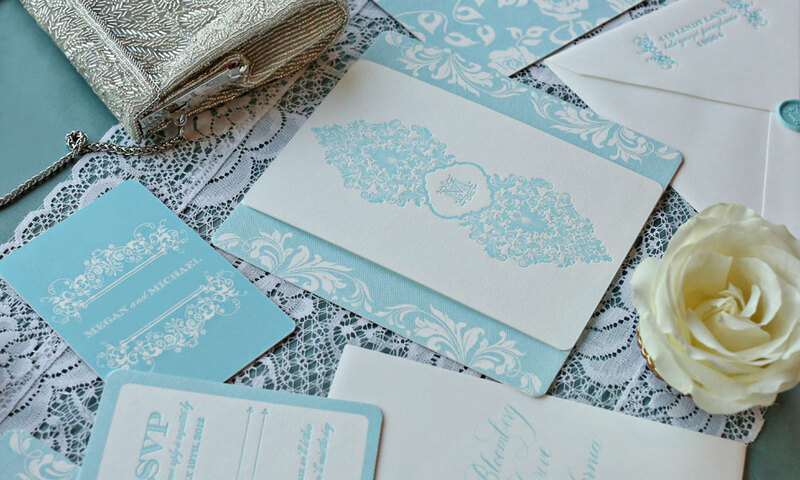 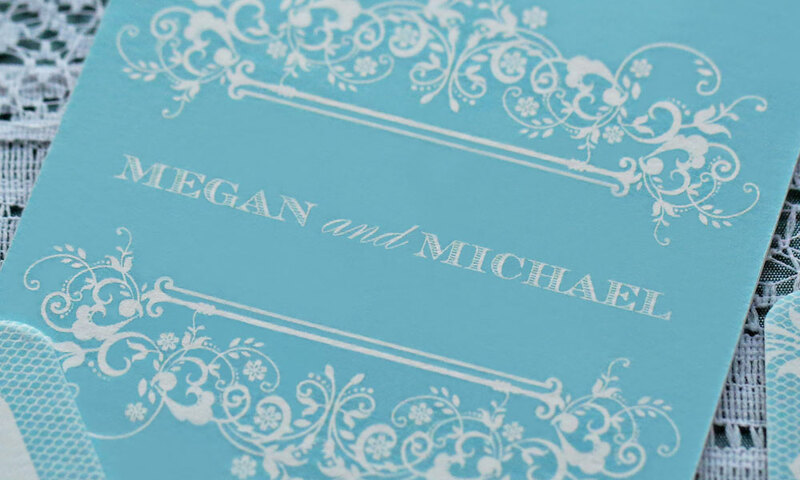 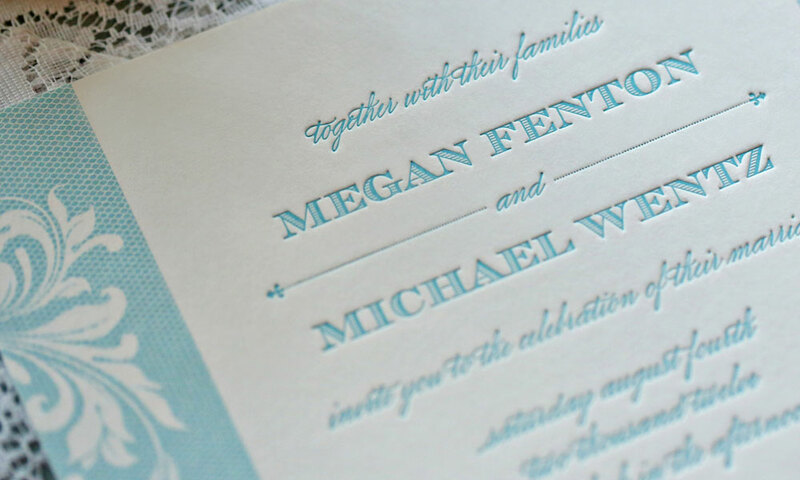 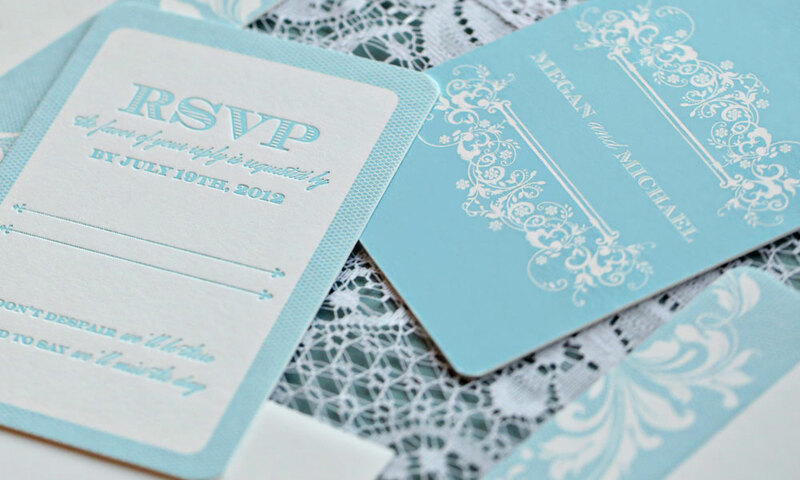 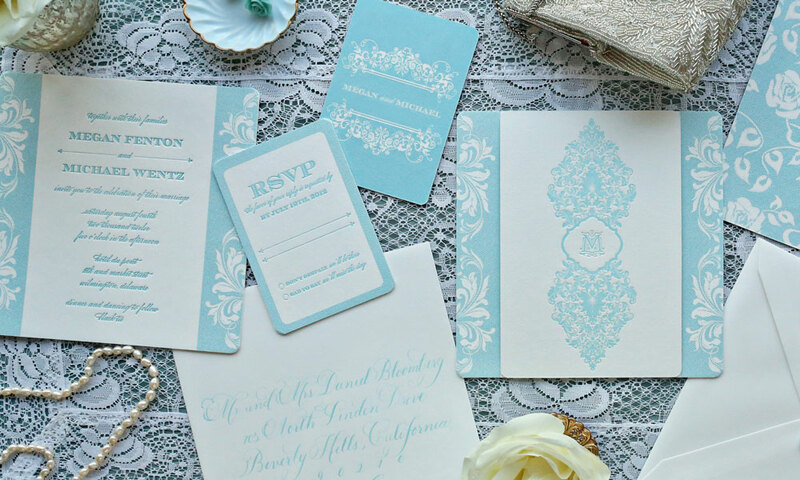 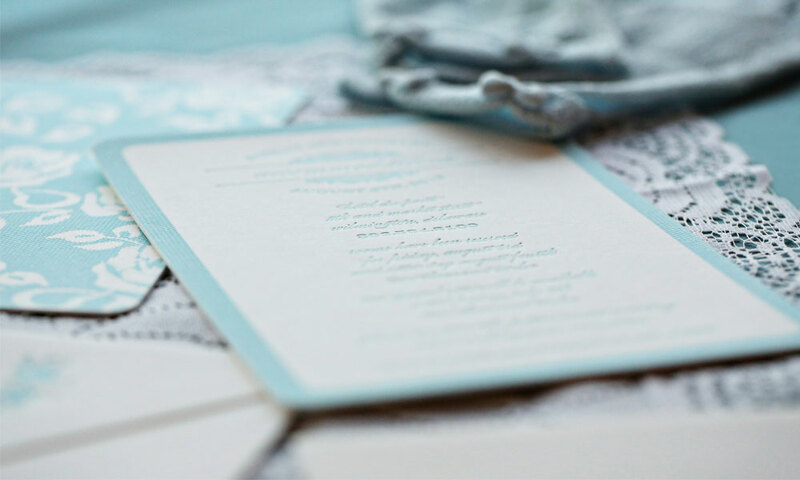 This hand-letterpressed and flat-printed, one-color wedding invitation suite is unforgettable. 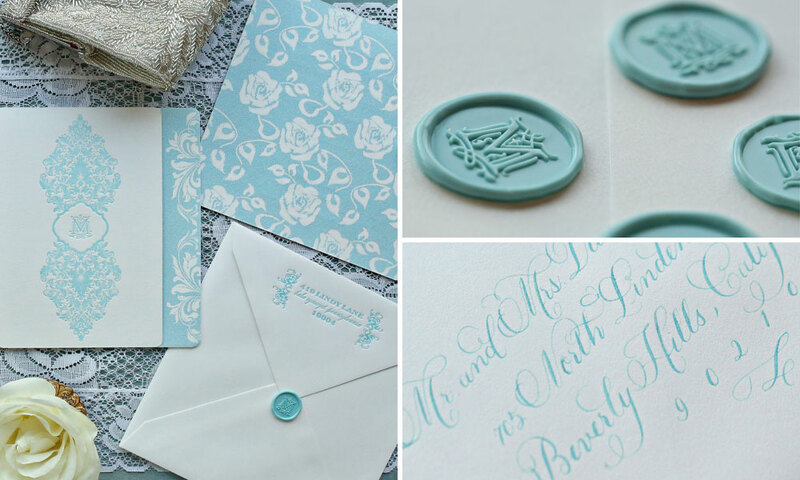 A custom letterpress monogram featuring the couple’s first initials welcomes you along with flourished accents. 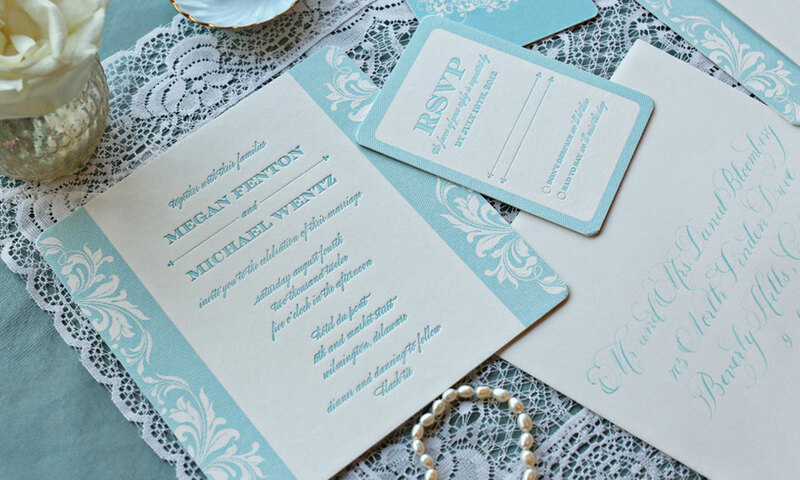 Antique-inspired typography, honeycomb lace and rose patterns, rounded corners and decorative scrolls are added throughout. 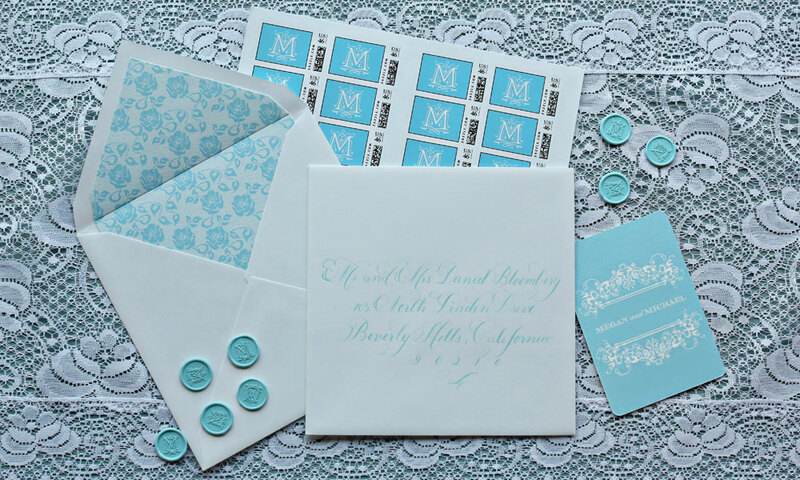 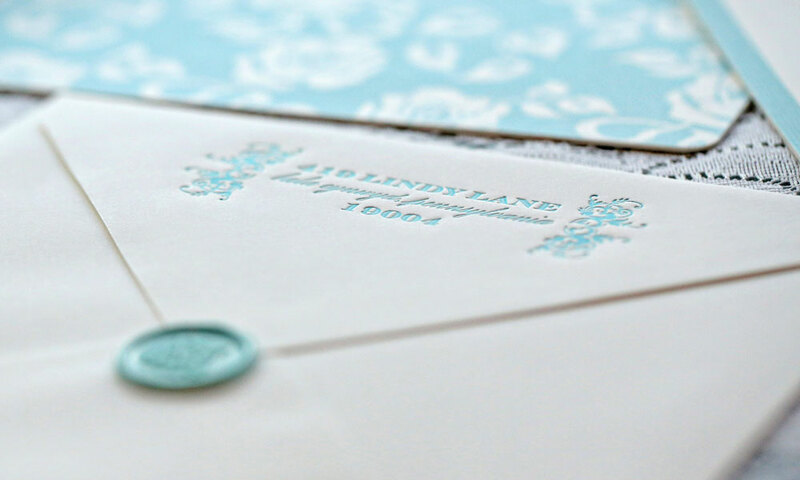 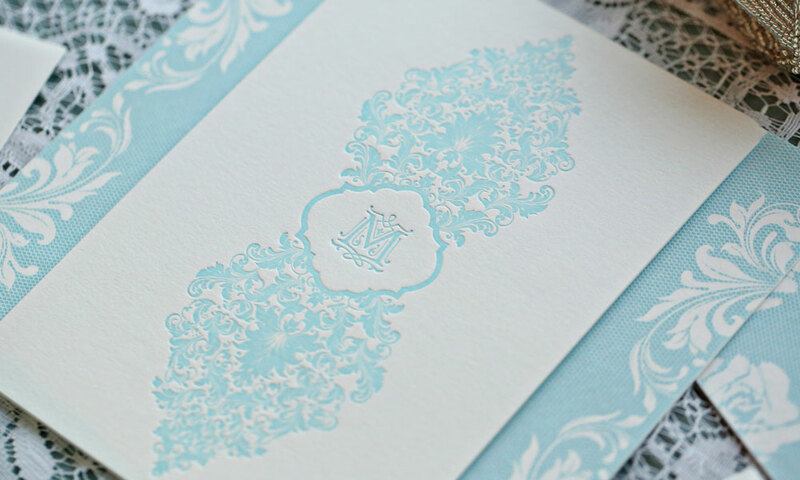 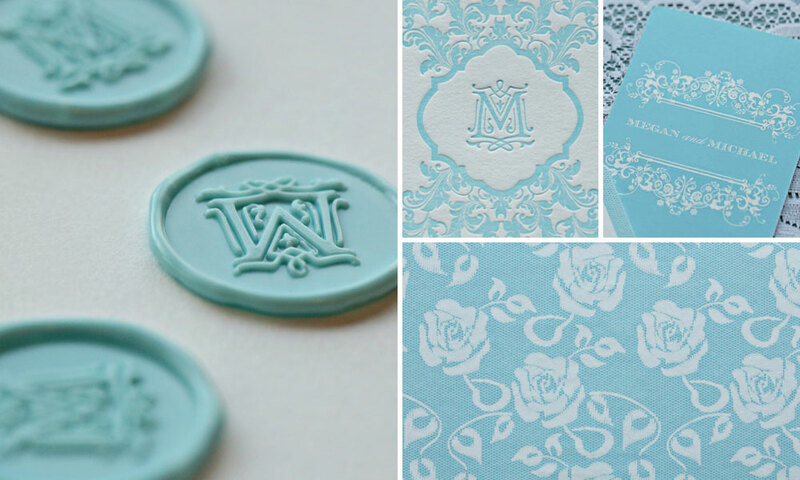 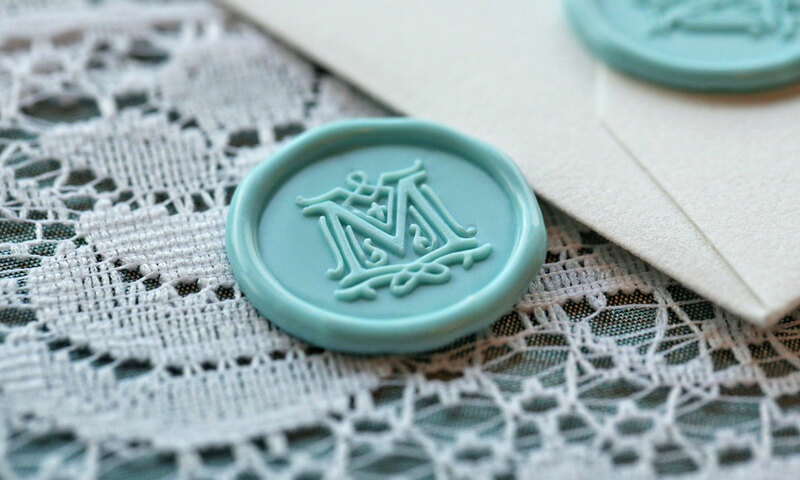 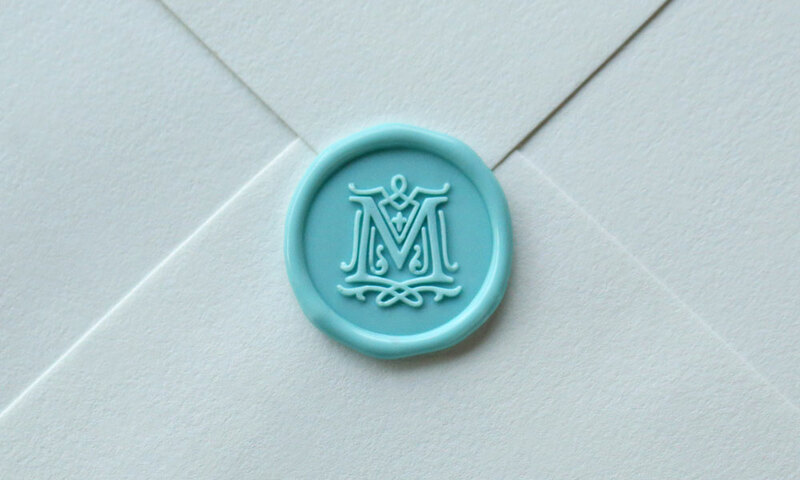 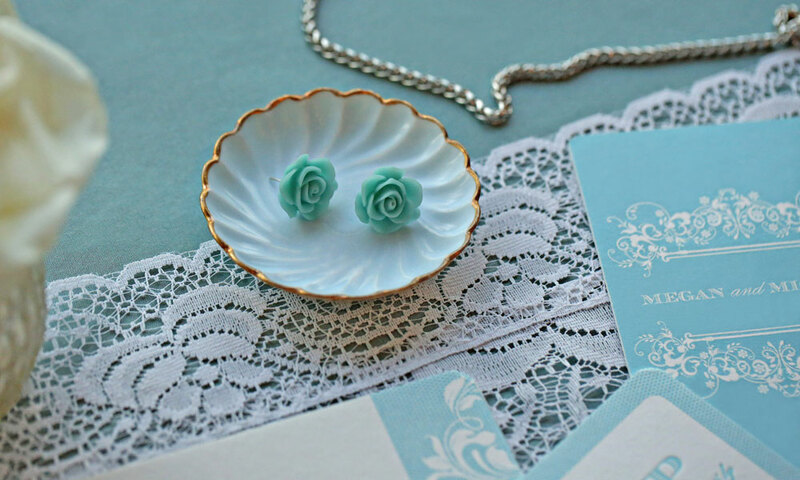 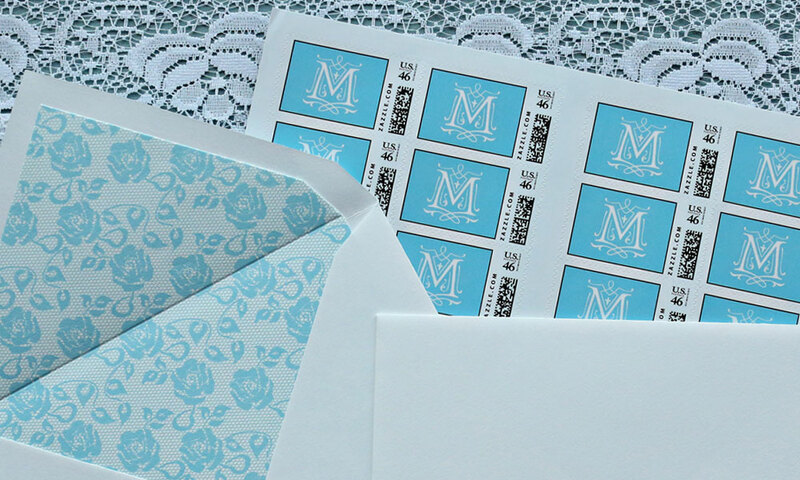 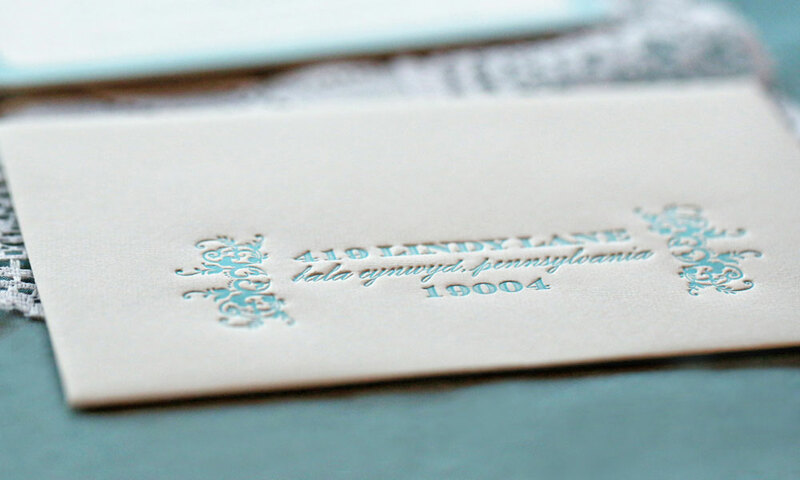 A white square cotton rose honeycomb-lined envelope with a scroll letterpress return address, custom monogram stamp and tiffany blue wax seal house this lovely invitation suite. 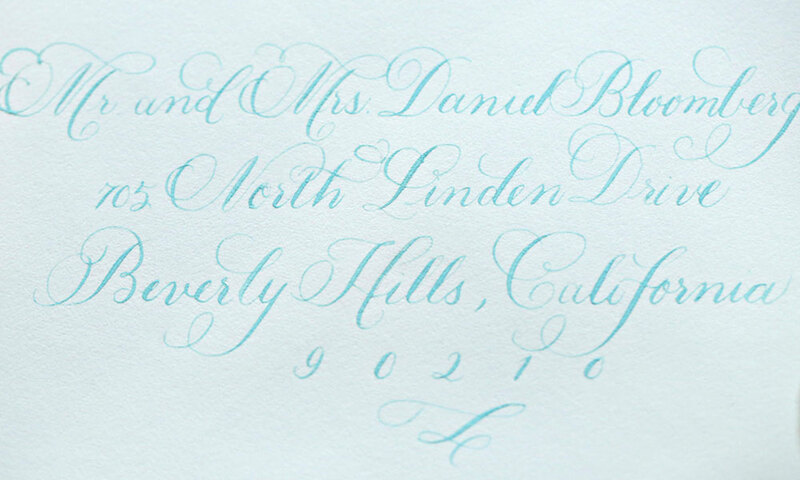 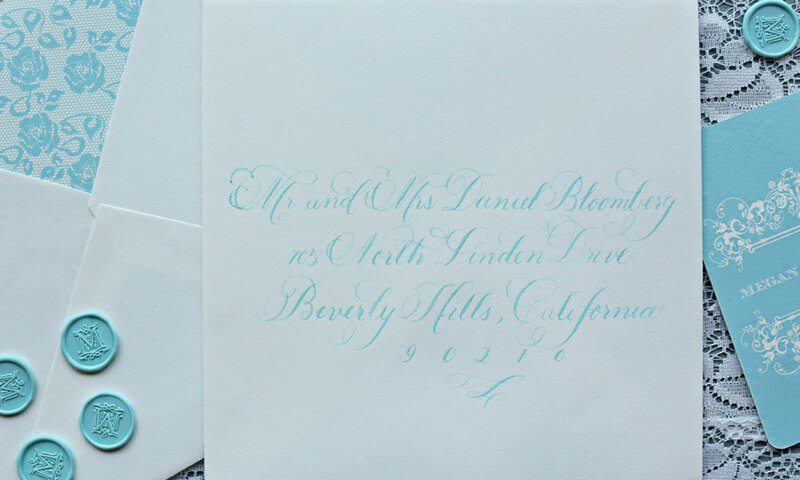 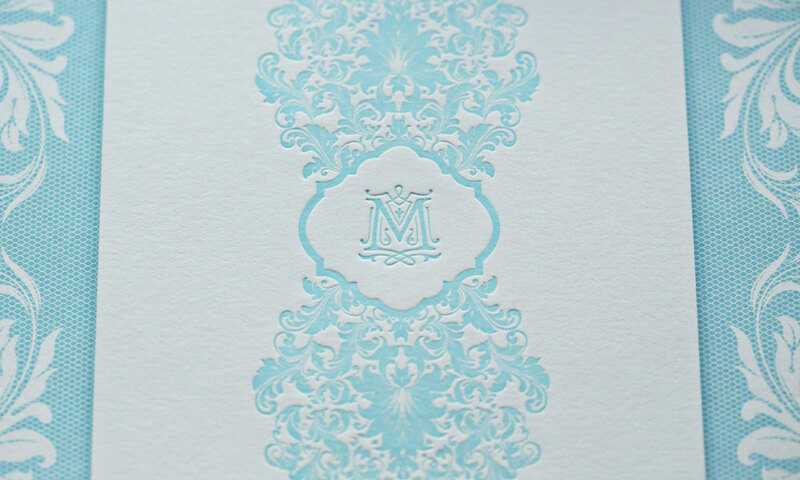 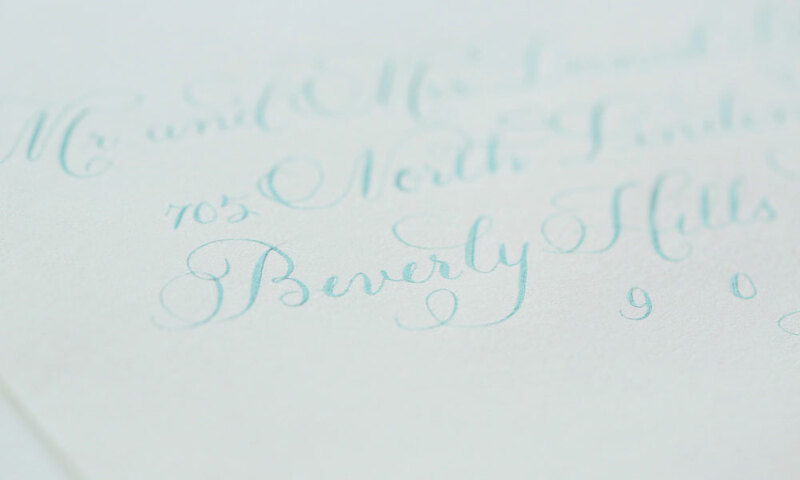 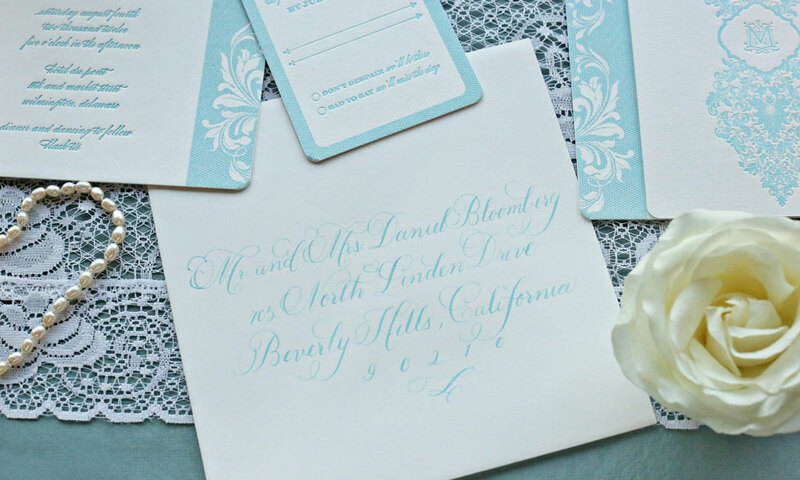 Incredible light-blue flourished handwritten calligraphy decorates the envelope. 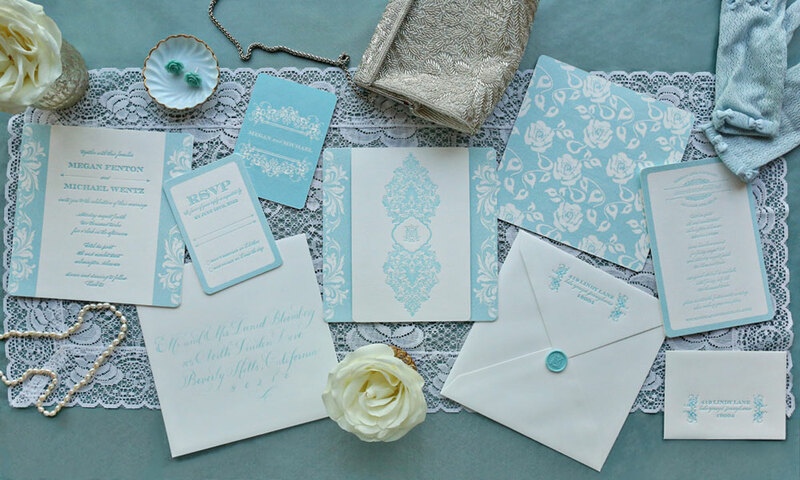 The blues and patterns introduce the colors of the bridesmaid dresses, floral and event décor to create the perfect combination of style, glitz and elegance.